A sharp earthquake was felt in the town of Grindavík last night at 21:15 measuring 3.5 on the Richter scale. It was followed by two other smaller quakes. 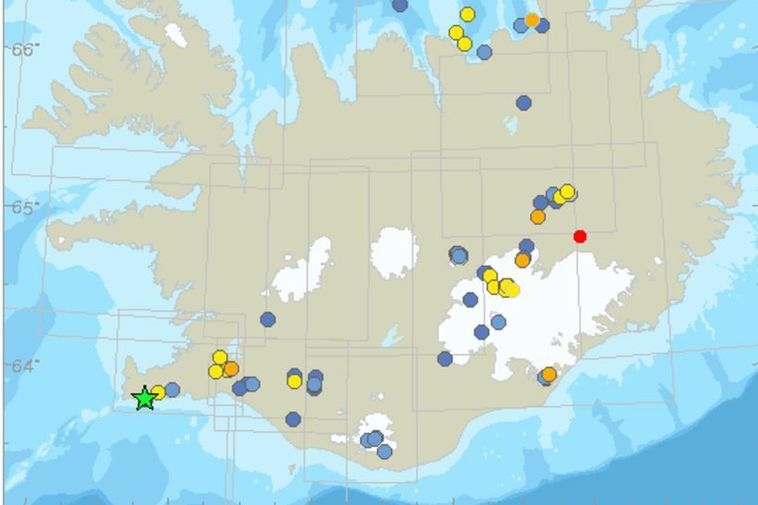 A lot of people felt the earthquake and rang the Iceland Met Office. According to the Iceland Met Office it's hard to say whether more earthquakes will occur in the area, but that there's always a possibilty of it. The earthquake originated 3.8 km South East of the Blue Lagoon, in Mount Húsafjall.